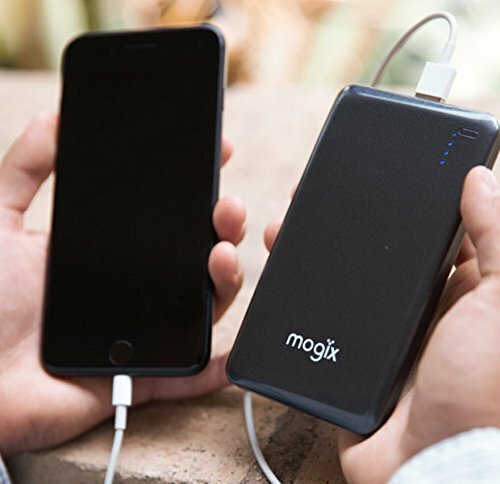 Whether you’re camping, sightseeing in an exotic region, taking a long motorcycle ride or just heading to the gym – Having a dead battery isn’t fun! 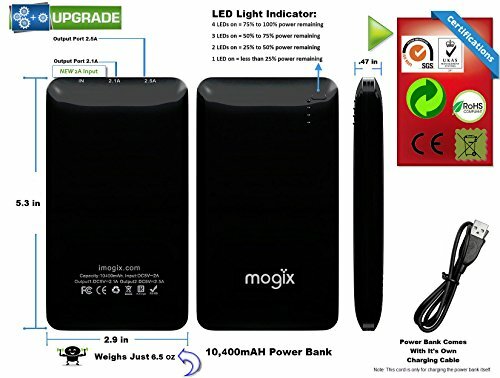 Get this modern day cure to the DBA’s (dead battery anxiety) TODAY! 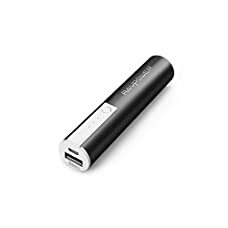 ✔ Featherweight construction won the hearts of travelers all over the place the world – Just 6.5oz making this the lightest weight charger with this power rating. 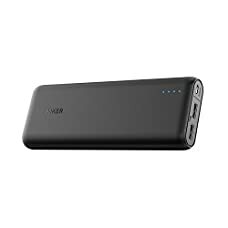 ✔ SmartBattery Technology with surge protection, temperature regulate and cutting edge circuitry – Power in a shiny thick case for drop safety. 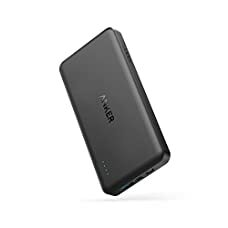 ✔ Options to quickly charge (Qualcomm Quick Charge not supported ) 2 devices at 1 time – high rated output ports – Combined rating of 4.6Amps/Highest amp rated at 2.5A. 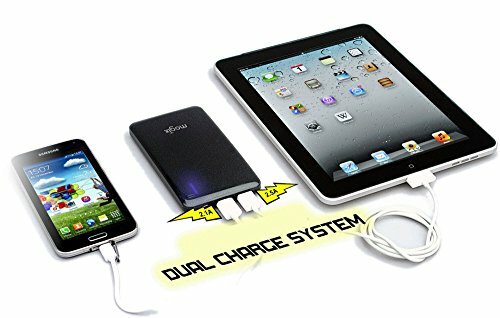 Game Controller – Charge whilst in play! 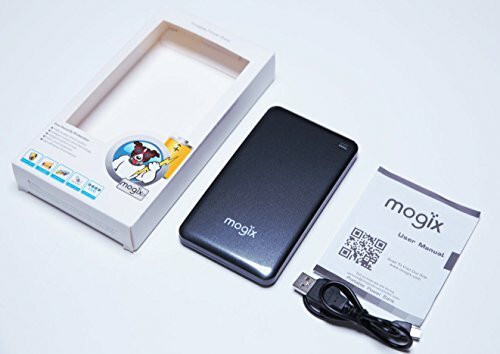 Why Pick Mogix Over Lower Priced Models? 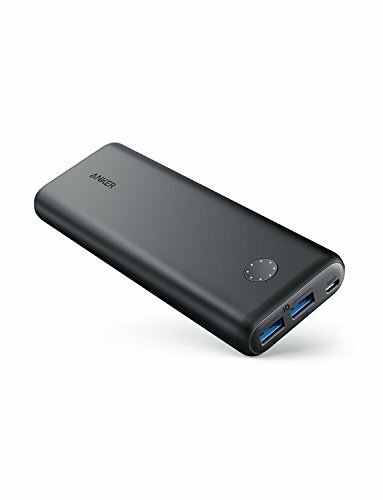 Just Better Than The Brick – The brick style power bank is cheaper but do you plan on taking your power anywhere outdoor? Of course you do! Who needs a bulky gadget weighing you down. 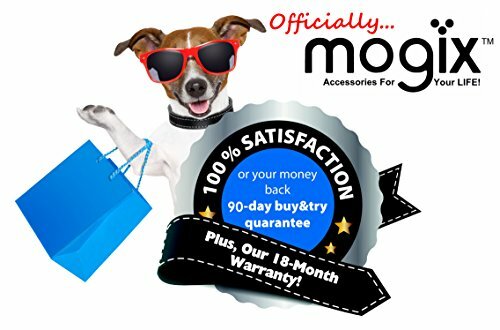 100% Satisfaction Guarantee – 90 Day no questions asked return or replace policy + extended 18mth warranty – no want to register or mail anything in, It’s just that easy! 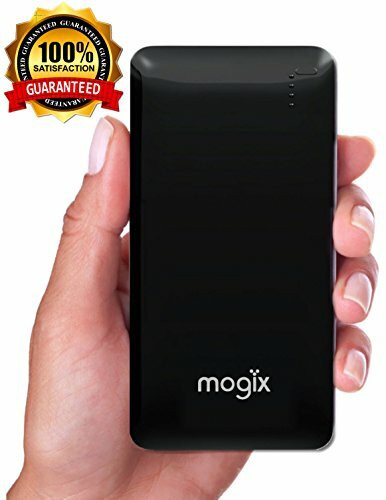 DEAL: Limited Time, When You Buy 1 Mogix 10400mAh Battery You’ll be able to Get An Extra 50% OFF Our 5000mAh Pack. Just Add Both To Cart & Enter code 11FACEBK at checkout (can’t be combined with other offers). Comes with a 90 Day Satisfaction Guarantee + 18 Month Warranty! 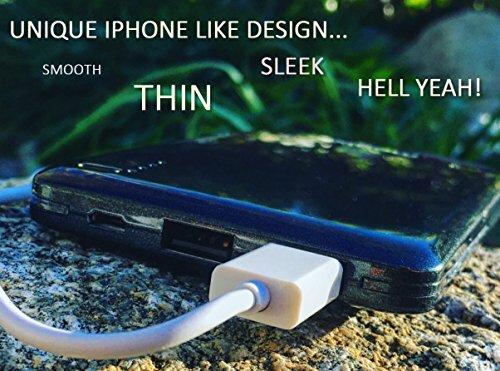 EXCLUSIVE, iPhone like design with 4 LED’s to monitor power supply + bold features that continue to make this pack one of the most thinnest, lightweight »Just 6.5oz« external chargers at this large battery capacity for sale today. FILL-ER-UP! 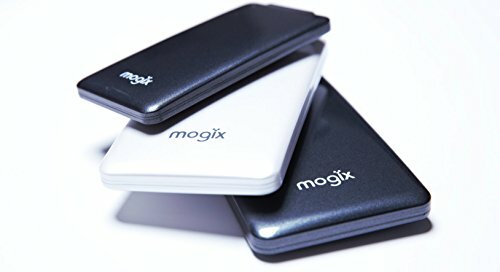 Get more than one full charges from one Mogix power bank, i.e. 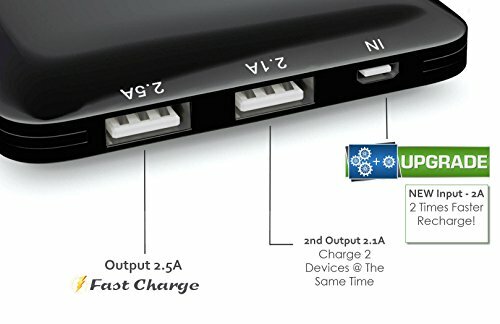 iPhone 7 = 4 to 5 charges, Galaxy S7 = 3 to 4, ipad Air 2 = 1 charge – Just use your phone cord to plug in.